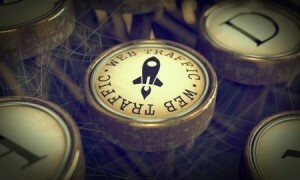 Traffic is the lifeblood of any website. Without a constant stream of visitors, most brands’ reasons for existence cease. Because of this, marketing, search engine optimization, social media, email campaigns and more are all built around driving people from one location to another (namely, your brand’s website). Maximizing traffic can be a challenge depending on your brand’s niche and focus, but it is always possible to improve the current situation. In order to help you brainstorm some new ideas and ways to drive traffic to your website, let’s look at four methods that are quite powerful when used properly. Many brands struggle with delivering a constant flow of content – crucial to generating a reliable, passive amount of traffic. Unfortunately, some brands give up on creating new and meaningful content, or simply churn out mediocre offerings to keep up in the rat race. Brands that already have quality content can utilize it to produce more traffic and reach. Recycling elements and ideas from previous content offerings can help you better target your audience, learn more about them and master your content strategies. Content repurposing or recycling is common; while many have been pinging servers with revised version of content to please search engines, some do not know that this can also bolster traffic via search, social media, email marketing and beyond. As odd as it may sound, brand pages on social media that remain consistently active drive more traffic to their websites than those that do not – even if they are not directly linking to their websites in posts! However, casual links to your website in social media content can be a huge driver of traffic – if you use the content regularly. Most professionals, for example, recommend making 5 Facebook page posts per day from your business or brand page for maximum reach. This frequent use pleases algorithms and ensures that you’re being seen by as many followers and fans as possible. Your competitors in some cases may be more established and dominant: wouldn’t it be great if you could learn how they’re driving traffic to their sites? Fortunately, you can: a variety of competitor-snooping utilities exist that can show you exactly what they’re targeting, where their traffic is coming from and how much traffic they’re earning. With this information, you can then begin targeting the top sources of competitor traffic and slice some of that pie off for yourself. Increasingly viewed as relics from the past, forums and community discussion boards are often overlooked. Yet these platforms have immense value in a variety of ways. For starters, they are often well-established and viewed by search engines as respected websites when it comes to backlinks and mentions. Another big reason why these are so valuable is the audience: relevant discussion boards often feature large, tight-knit audiences that can be mined for additional traffic. As such, contributing valuable information while being a meaningful member of these communities (and sprinkling in some links here and there) can produce a great increase in traffic in relative terms. While you may not see as much traffic in nominal measurement, the traffic that does come is likely to be more valuable on a per-visit scale than through many other sources. When used cumulatively, these four strategies are simple yet powerful. Whether you’re pinging servers with new content or aiming to generate new sales, the end result is more traffic when applied correctly. While there are many strategies out there that can help improve traffic counts, these four are often overlooked or underused: this is why they can be so effective when implemented.